Suarez, who was banned for nine international games and barred from all football-related activity for four months, vowed that there would never be another incident like it again. "The truth is that my colleague Giorgio Chiellini suffered the physical result of a bite in the collision he suffered with me," a tweet from Suarez’s personal account read. "I deeply regret what occurred. I apologise to Giorgio Chiellini and the entire football family. I vow to the public that there will never again be another incident like [his bite]." Before now, Suarez had steadfastly denied biting Chiellini and even wrote a letter to FIFA saying he had simply lost his balance and fallen on the Italian. 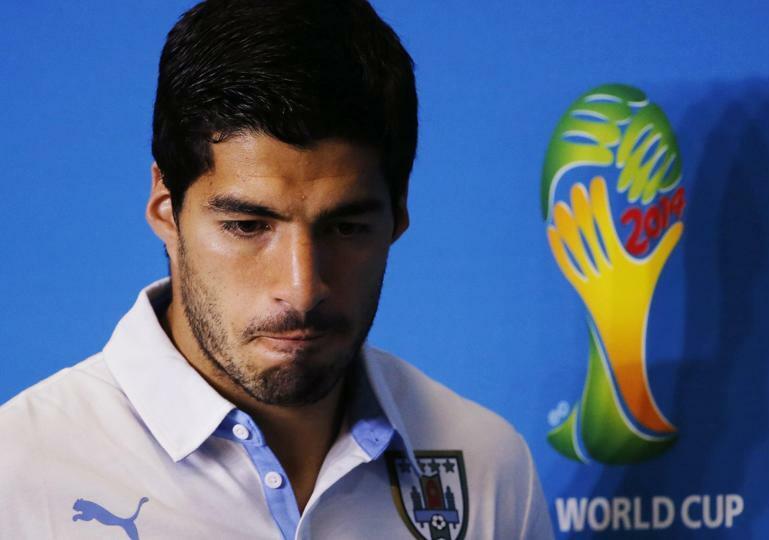 ‘I fell and hit face on Chiellini’s shoulder’, says Suarez FIFA ruled that he acted intentionally and promptly handed him the longest ban ever imposed on a player at the World Cup, prompting fury in his South American homeland, where he was given a hero's welcome on his return. But the papers report that he has only done the apology so as to facilitate a big money move to Barcelona, a transfer that will make him one of the best-paid players in the game. With Liverpool having had no involvement in the apology and with no prior warning it was coming, it is understood Suarez and his agent were the sole driving force behind it. The Uruguay FA also had no idea it was coming, according to the Independent. The Daily Telegraph reports there are suggestions the carefully worded apology - and promise he will never do it again - is a pre-requisite for a potential bid from Barca, Meanwhile, according to the Daily Mirror, the Catalan club are keen to know that he has finally learned his lesson before they launch a bid for him. Paper Round's view: It took Suarez six whole days to admit what most of the world already knew: that he had indeed bitten Chiellini on that fateful day. We can only assume that period of time was not spent desperately racking his brains trying to remember what he actually did to cause such a fuss, but rather he and his agent have been busily attempting to engineer a move away from Liverpool, with Barcelona foremost in their minds. Given Suarez's flat denial that anything untoward had happened prior to his confession, Barcelona - a club which prides itself on its positive philosophy and high moral standards - would not have gone anywhere near him. In other words, it is entirely conceivable that Barcelona ordered Suarez to release a contrite statement. Indeed, there is enough to suggest from Suarez's past behaviour that self-interest would have prompted an apology that to anyone else would have been a simple act of common decency.